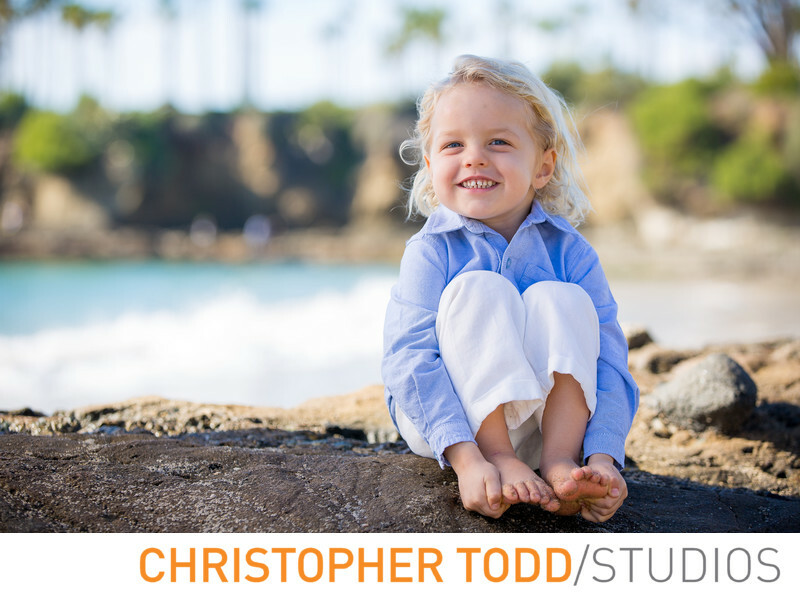 As a family photographer in Orange County we love taking photos at the beach. Here this cute little boy in his button up Ralph Lauren shirt and white pants sat patiently on the tide pool rocks. After we get to know everyone's name and crack a few silly jokes we take a few group pictures of the whole family, some of just the parents, and others of the kids. We also photograph each child individually. These are great for printing and creating a photo collage for your home. I have been an Orange County Photographer for over 17 years. I don't just take photos. I provide each client with an experience. From our first conversation to helping you decide how to dress with our custom style guide. I want you and your family to walk away with stunning pictures and a memory of the fantastic day we had together. 1/400; f/3.5; ISO 100; 105.0 mm.